You are here: Home / Search for "Jamaica"
When I have mentioned that I often get to travel to beautiful vacation spots, people are amazed, but when I add the fact that I usually travel alone, they wonder how it can even be enjoyable without family or friends. Well of course it would be awesome to be able to travel to these spots with my family, but I can tell you I thoroughly enjoyed my trip to Montego Bay, Jamaica. 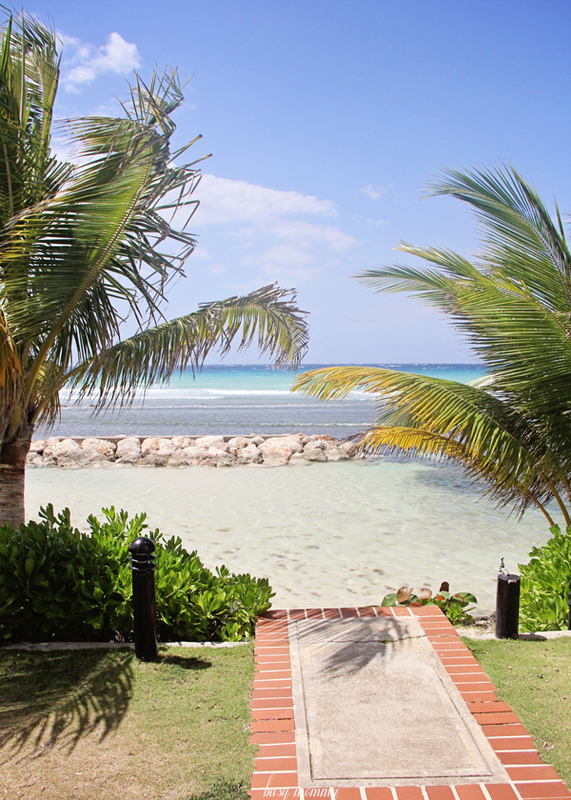 The highlight of that trip was the beautiful Half Moon Resort that is truly the ultimate Jamaican vacation spot. I am grateful I was able to experience it, even if it was by myself! 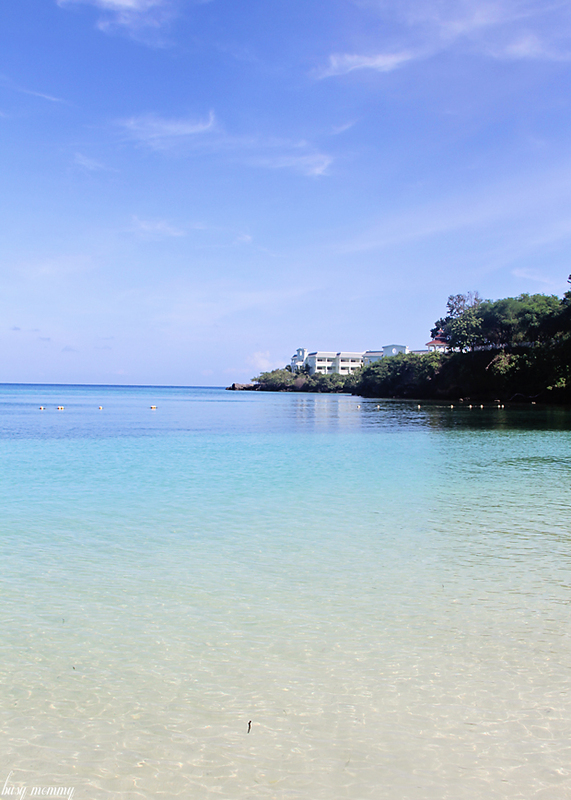 The view right on the crystal blue water is the best view in Jamaica. You can see how close to the water these accommodations really are. These are royal villas, aptly named because Prince Harry has vacationed in them! There are smaller accommodations, suites for couples or small families. I could imagine my family staying in one of these with the private beach below, almost like a little lagoon. This photo was taken right off of the back porch. I could totally imagine my kids spending all of their time out there in the water. I stayed in a beautiful and spacious Junior Suite. Several junior suites are connected and share a private pool in the backyard. I wish I knew of Half Moon when searching for honeymoon options! I imagine this to be the perfect honeymoon spot. 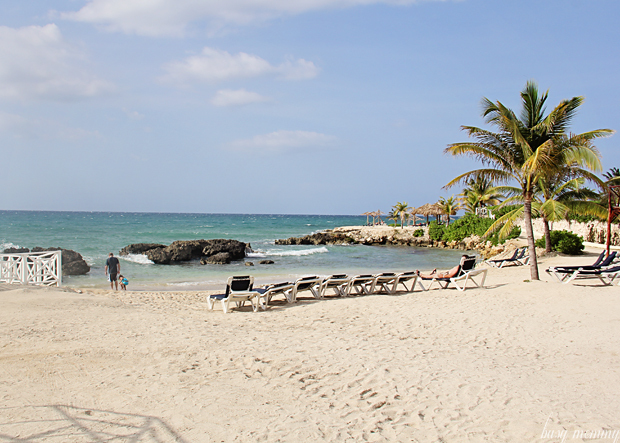 Half Moon is a family-friendly resort. 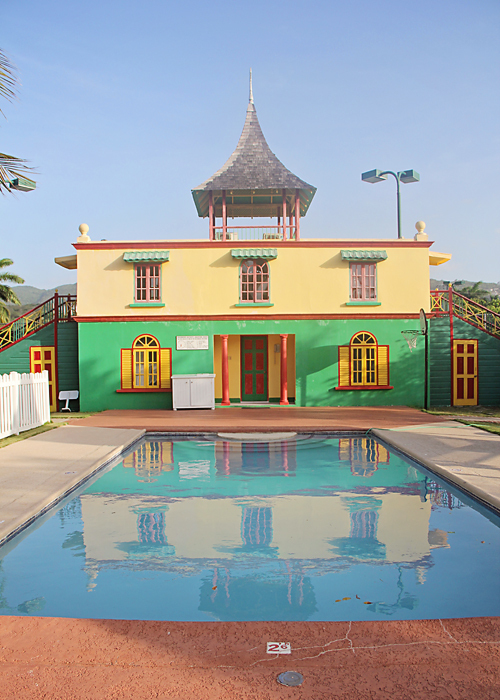 Their children’s village can accommodate children ages 3-12. For younger children, there are nannies on call for hire. The Anancy Children’s Village includes shaded play areas, activity rooms, a wading pool, sand box, and expansive outdoor play area. When I was there, there were also children’s day camps going on. 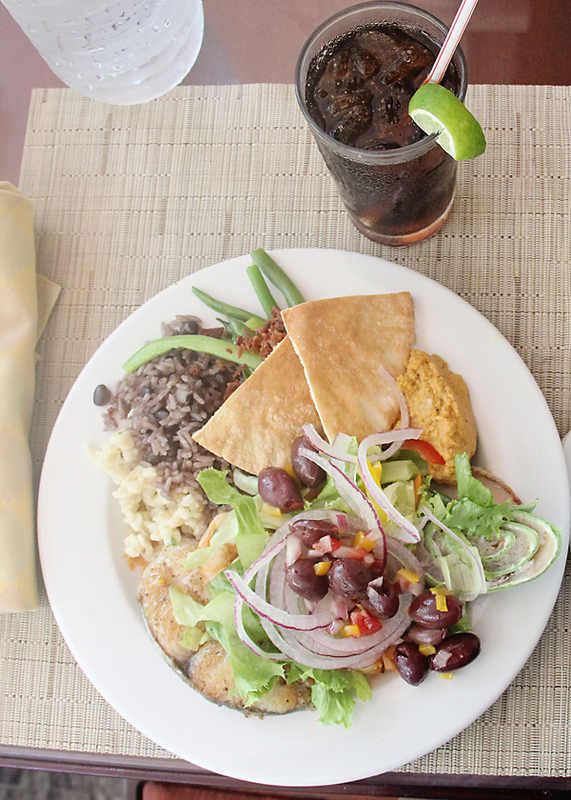 Besides the obvious beautiful beach location, I will give you one reason why you need to stay at Half Moon: the food. They offer a daily buffet and menu items to order. Buffets usually aren’t known to be the best of food, but this hands down was the best buffet I have eaten at and even some of the best food period. I can tell you one thing if you stay at Half Moon, you will not be disappointed with the food. One thing I can appreciate with the food options are the different meal plans available. 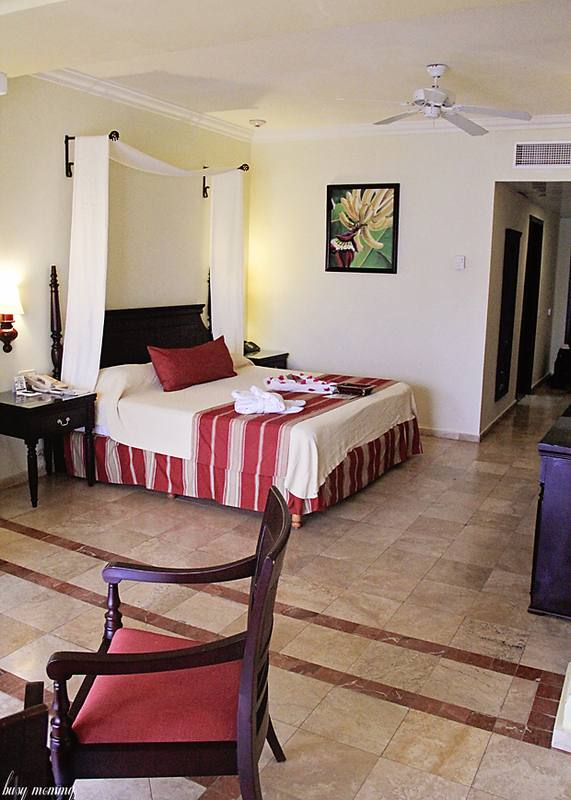 You can tailor it however it will best suite your family and there are all-inclusive options. I had to take advantage of the dessert buffet. 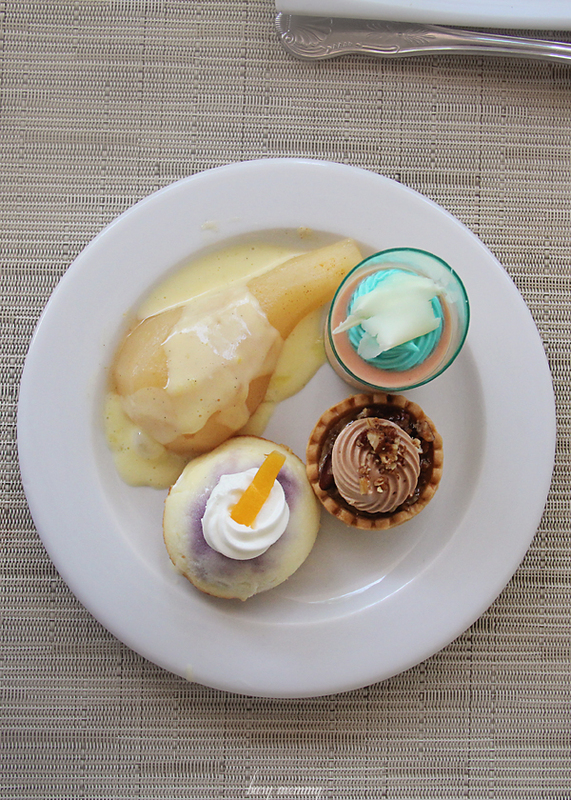 The poached pears with white chocolate sauce, pecan tartlet and blueberry cheesecake were delicious. I say that this is the ultimate Jamaican vacation spot because you literally do not have to leave the resort. Everything you need to have a fun, relaxing vacation is right here. 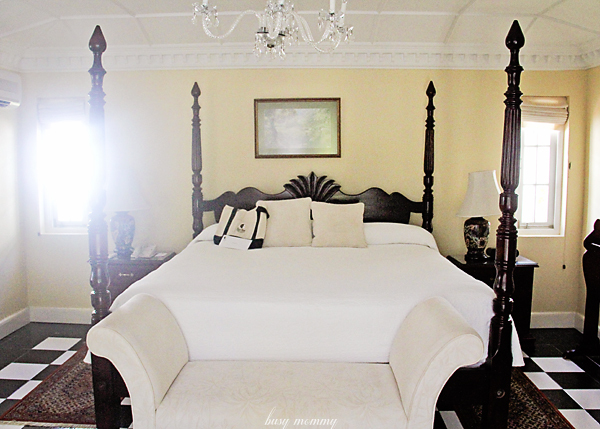 I know I previously mentioned all of the must-do Jamaica activities, but if you are the type of family who doesn’t like to plan too much and want accommodations that has everything at your fingertips, than Half Moon is your place. Half Moon also offers a fitness center, many swimming pools, an equestrian center for horseback riding, tennis courts, water sports, 18 hole golf course, swimming with dolphins and a super fun family-friendly beach parties. 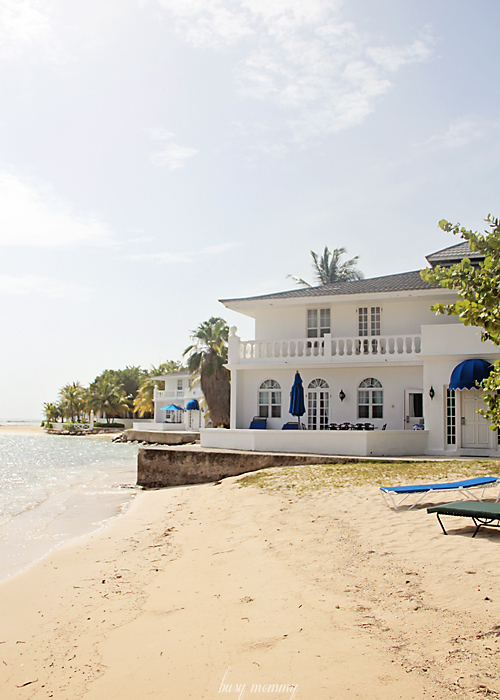 I hope to go back to Jamaica one day with my family and the one place I would most like to stay is Half Moon. It will be a vacation of a lifetime and if you are here because you are searching for a review while planning a Jamaican vacation — book now! I was brought to Jamaica on behalf of the Jamaica Tourist Board. My time in Jamaica was of course spent at beautiful resorts overlooking the picture-perfect ocean, but the highlight of my Jamaican adventure was definitely the activities. Swimming with dolphins and horseback riding in the ocean can now be checked off of my bucket list. Many people go to Jamaica to lounge on the beautiful beaches and relax, which is of course something I love to do too, but don’t forget to have some adventure! When I told my six year old son I was going to Jamaica, he didn’t think much of it until I told him that swimming with dolphins was on the agenda. That was followed by happy screams and pleading to come with. 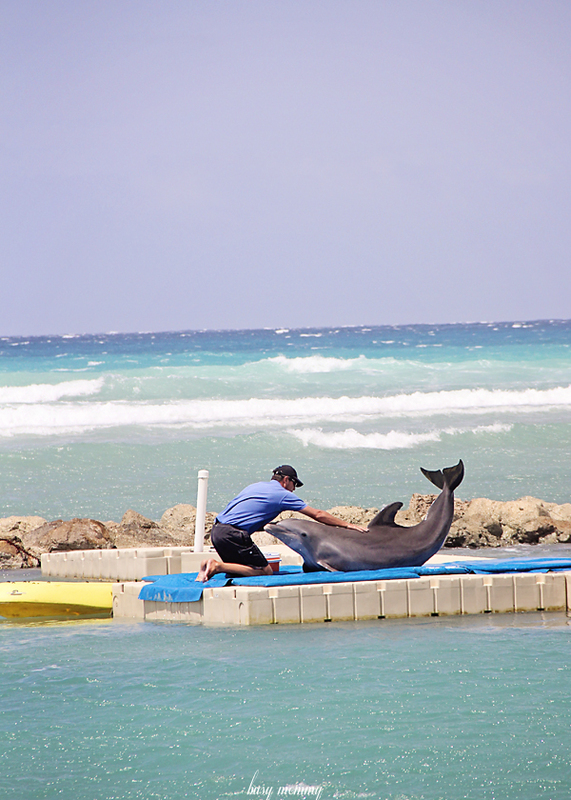 Dolphin Cove was named the number one attraction in the Caribbean and rightfully so. 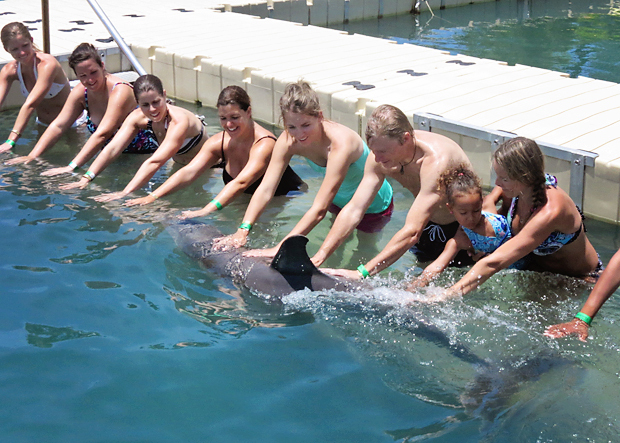 When I am able to bring my whole family back on vacation, Dolphin Cove will be one of the places we make sure to visit because I know memories like these will last a lifetime! 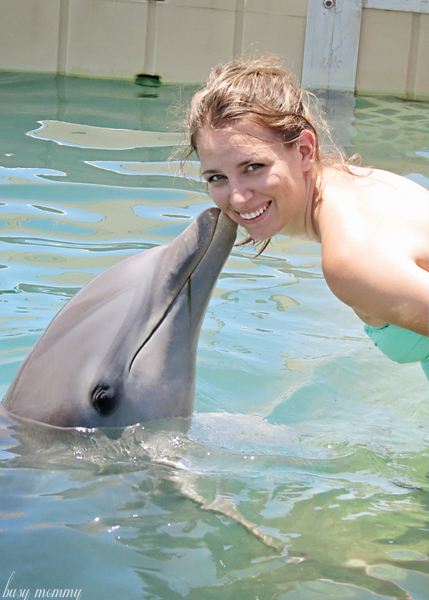 What’s great about Dolphin Cove is there are encounters for all ages. Children five and under are free with a paying adult, which families will appreciate. 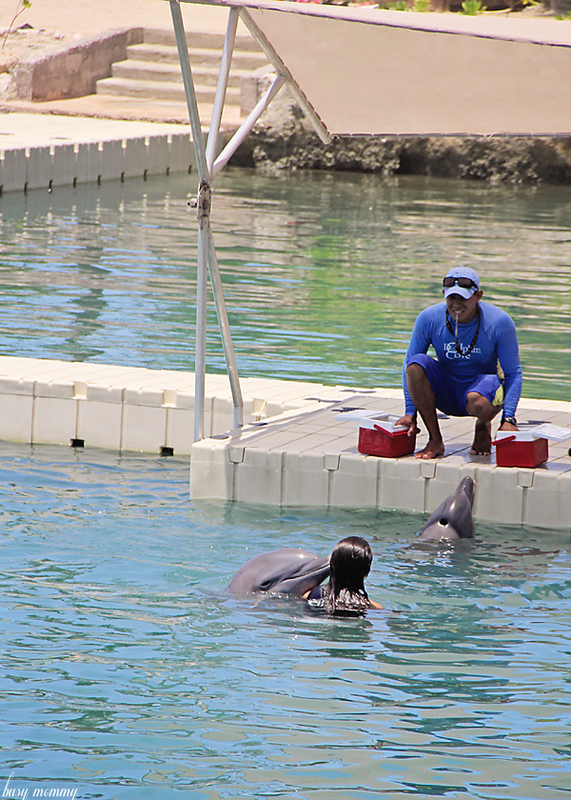 Dolphin Cove offers several different animal encounters besides the dolphins, which can make this an all-day outing. 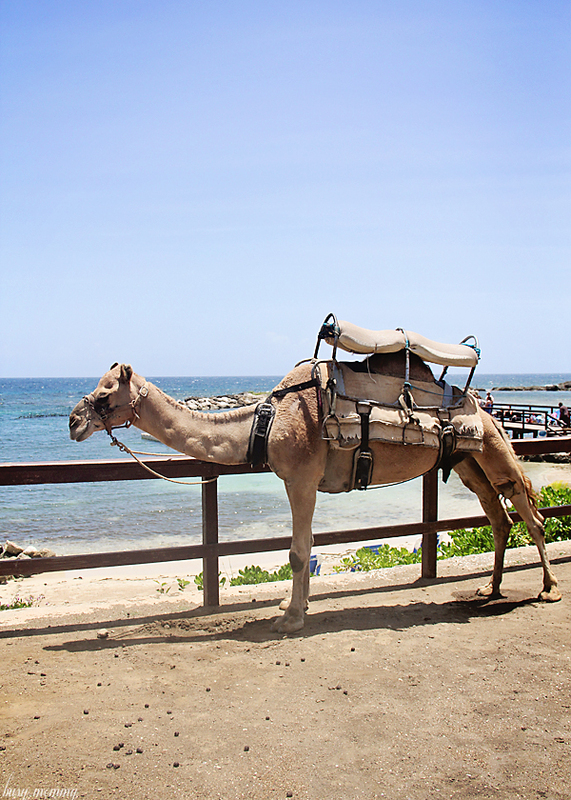 You can ride on a camel, touch stingrays, and play with sharks! Another amazing opportunity was horseback riding. 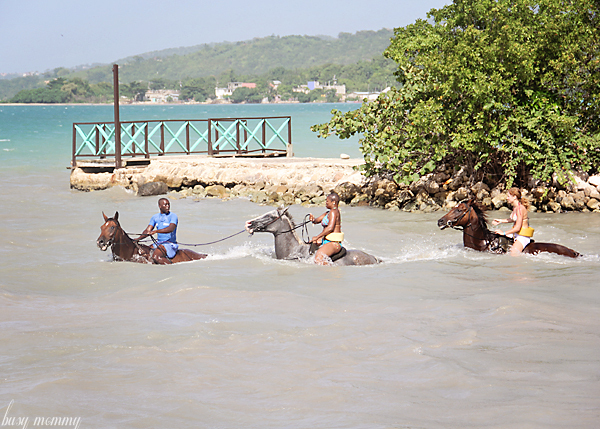 This wasn’t your typical horseback ride; the ocean view combined with riding through lime, mango, and avocado trees was a totally different horseback riding experience. (Much better than the horseback riding I remember at summer camp years ago!) 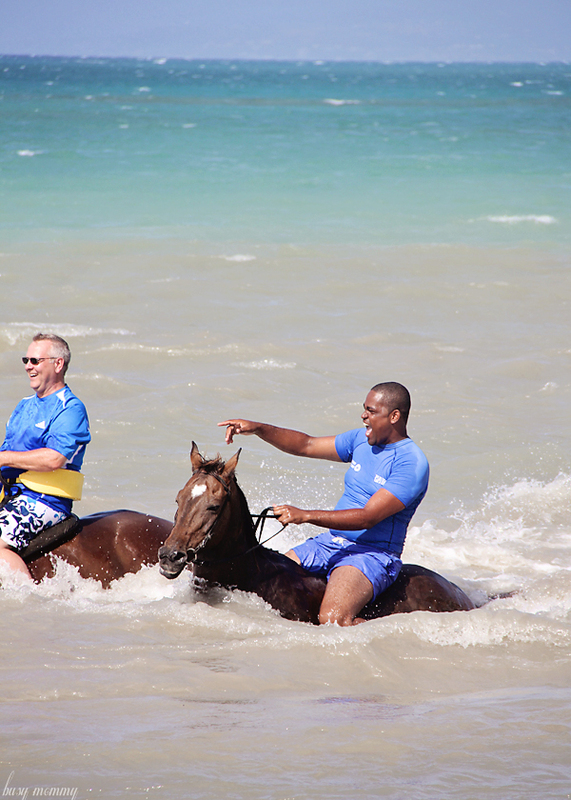 At the end of our excursion we were able to take the horses into the ocean! Chukka offers a variety of different excursions for all age ranges including horseback riding, 4×4, zip-lining, atv, dune buggy excursions, and river tubing. This beautiful setting was right after our Island Routes Catamaran cruise. 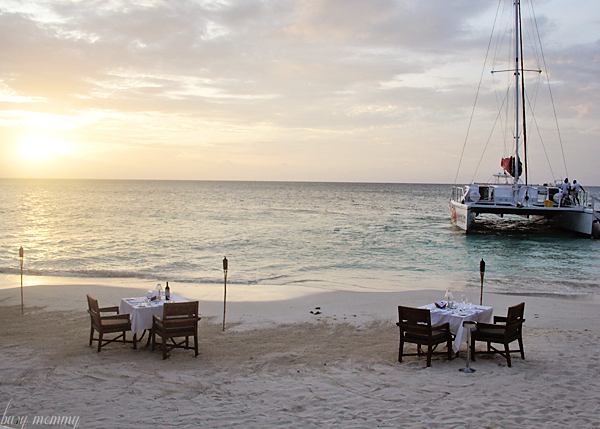 Too bad my husband wasn’t there so we could have a romantic dinner on the beach (another bucket list)! Island Routes offers adults-only as well as family cruises with snorkeling. I know the snorkeling will be a must-do for my kids when we go back. I had such a wonderful time experiencing Jamaica. 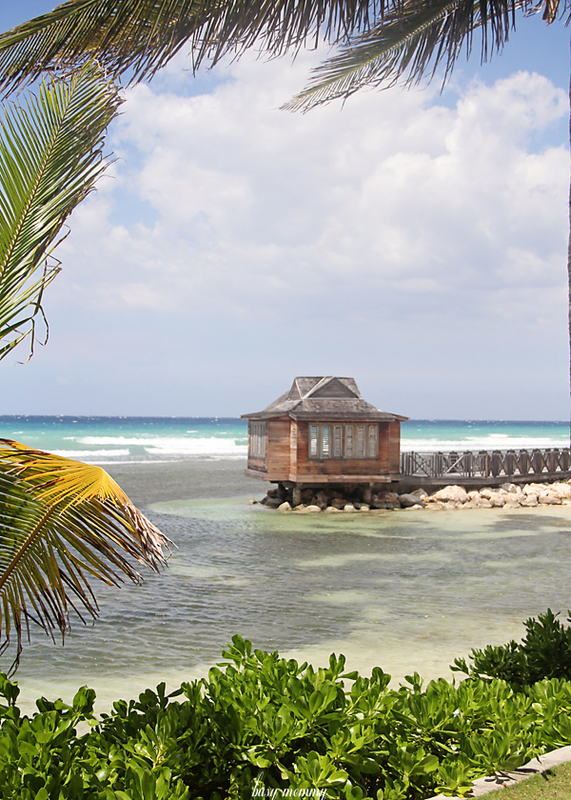 The Montego Bay area is a family-friendly vacation spot with flights and accommodations that are much more reasonable than other destinations I have looked into. I can’t wait to go back and experience all of this with my family! I was able to take a little trip last month to the popular Caribbean vacation destination with clear blue waters, sandy white beaches, and a “don’t worry, be happy,” feel-good culture: Jamaica. This was my first time to visit the country that so many of my fellow travelers visit (with very good reason)! I jumped at the opportunity to go on this little getaway, on behalf of the Jamaican Tourist Board, before we add four more kids to the family and major vacations might become a little sparse for the next few years. I left Jamaica with the feeling of excitement to bring my whole family back in the future to experience it all together. For the first half of the trip we stayed at The Grand Palladium, a large, all-inclusive, family resort. 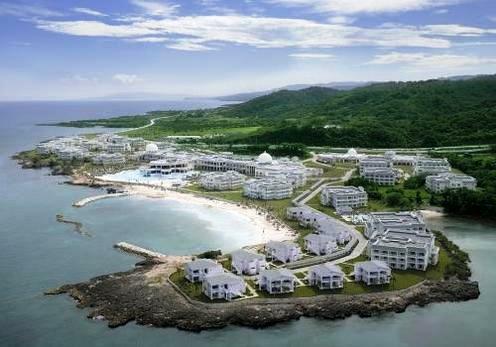 It has 7 a la carte restaurants with a wide variety of cuisine, 3 buffet restaurants, 13 bars distributed throughout the complex and the largest pool in Jamaica. As you can tell this is one BIG resort, which would be a plus for some families, but I can imagine others preferring something a bit smaller. I stayed in a Junior sweet with one King Bed. This type of room runs for $300 a night right now with a max occupancy of two adults and two children. 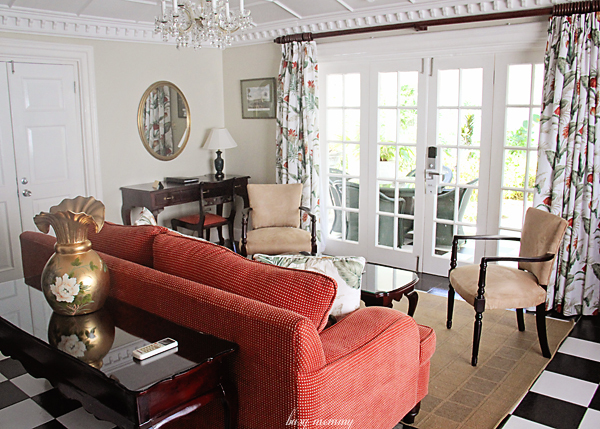 On vacation, I know many people don’t spend too much time in the room, but a nice room is a plus. The room was clean, well-decorated, and offered all of the best amenities. The view from my balcony was even better. The sprawling resort has beautiful architecture and is well kept. 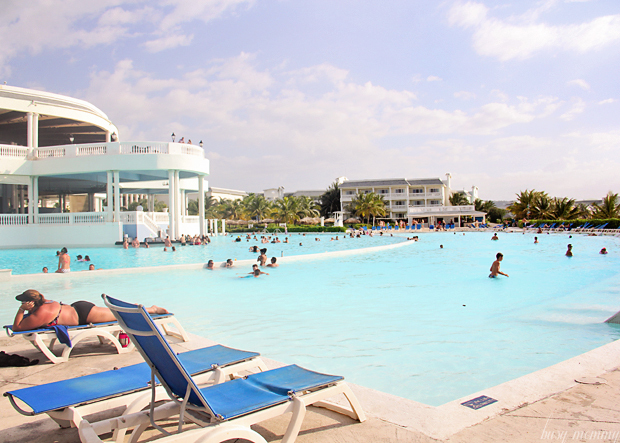 The Grand Palladium is the cleanest all-inclusive resort I’ve stayed at, especially the pool. At some hotels and resorts I’m a little apprehensive to take a swim, but the large pool seemed to be the most popular place in the whole resort and I was impressed that with that many people it was always crystal clear. 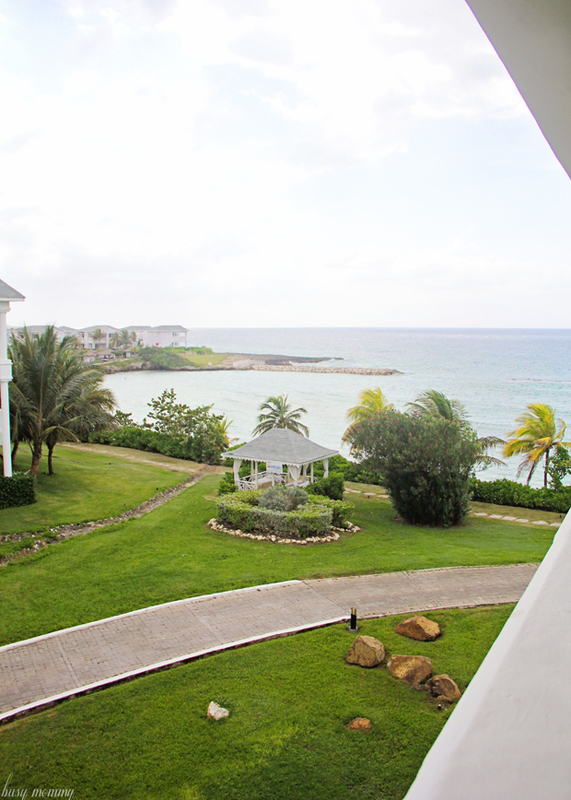 One important feature of the Grand Palladium is that it is family-friendly. There are always activities scheduled for all ages: aerobics, beach volleyball, soccer tournaments, beach barbecues, entertainment in the evenings, a teen room and more. The kids club and nursery is important for parents, where children as young as 9 months are watched by staff that are certified by the government. For those traveling on a romantic vacation, but still want the all-inclusive resort activities and amenities, The Grand Palladium offers adult-only areas, pools, and beaches that have a different atmosphere from the rest of the resort. These are definitely areas I could see my husband and I taking a little time for ourselves without the kids. 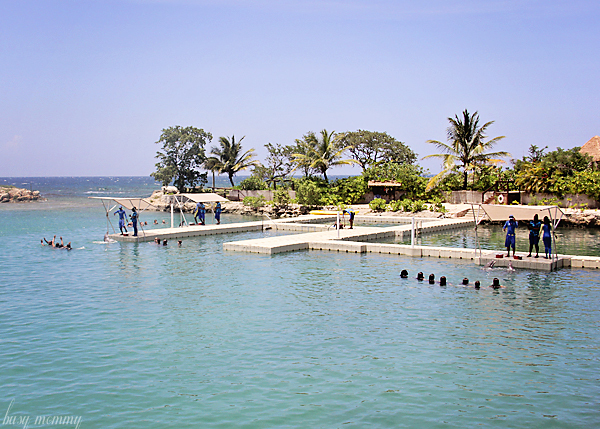 Overall, I think The Grand Palladium is a resort I would bring my family back to. Although, I think what is both a blessing and a curse is how big the property is. I love how many different restaurants, pools, beaches and activities are offered, but at the same time I would be a little scared that I would lose someone in my brood of five. But as a young family, the price point and the plus of the all-inclusive is what we would be looking for in a Jamaican vacation. The atmosphere is kid-friendly and offers a wide variety of activities we wouldn’t ever hear an, “I’m bored!” We would be able to have fun as a family, but with the availability of child-care, knowing that my husband and I could spend some time together alone is also a big plus. The variety and the quality of the restaurant and buffet options surprised me. My favorite restaurant was Bubba’s BBQ where we had a filet mignon and a nice wine followed by some local live music at one of the many bars. 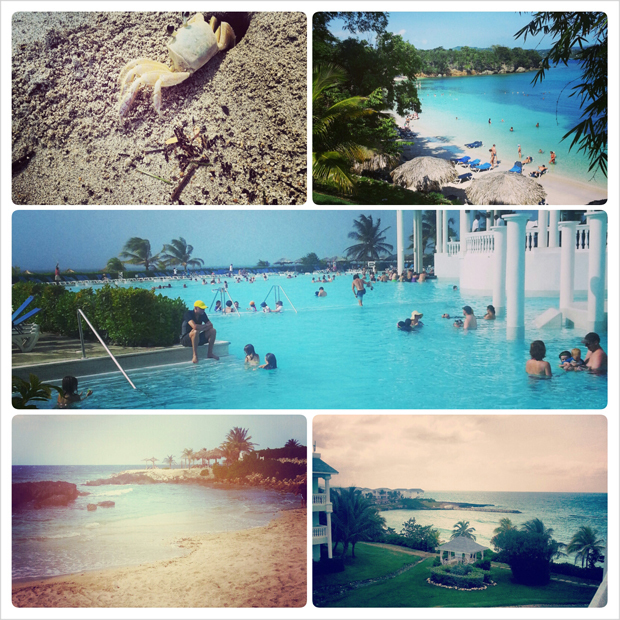 All in all, what would bring me back to Jamaica is the beautiful ocean view and the “island life” feeling. 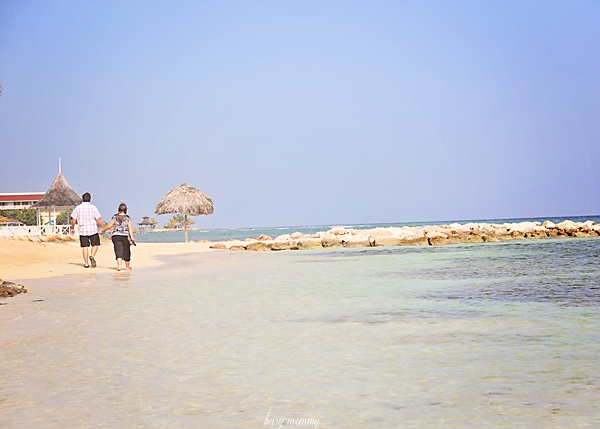 No matter what resort you choose, I recommend venturing off of the property to experience Jamaica! 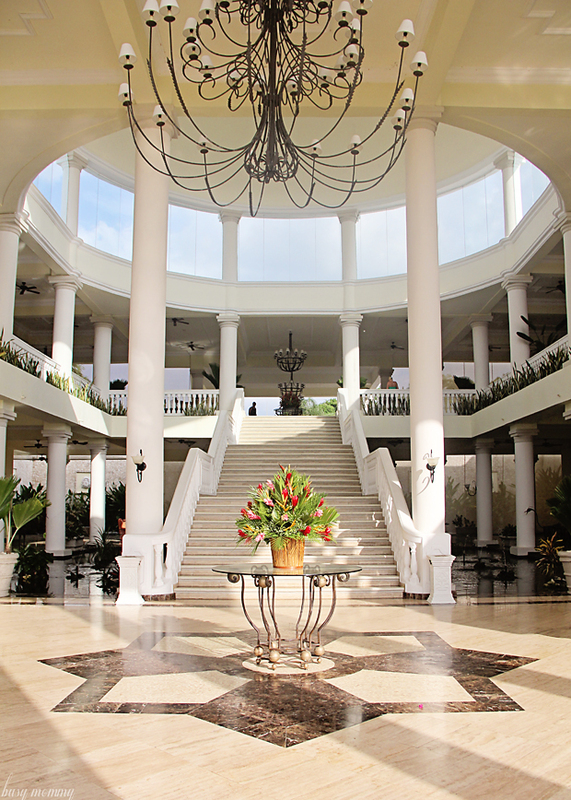 Have you been to The Grand Palladium Jamaica? What did you think? Litehouse Foods, recipe development regular contributor. Hi, my name is Emily. I started blogging after the birth of my first son in 2007 as a hobby. Little did I know that I would truly grow into the name ‘Busy Mommy’ and blogging would become more than a hobby. 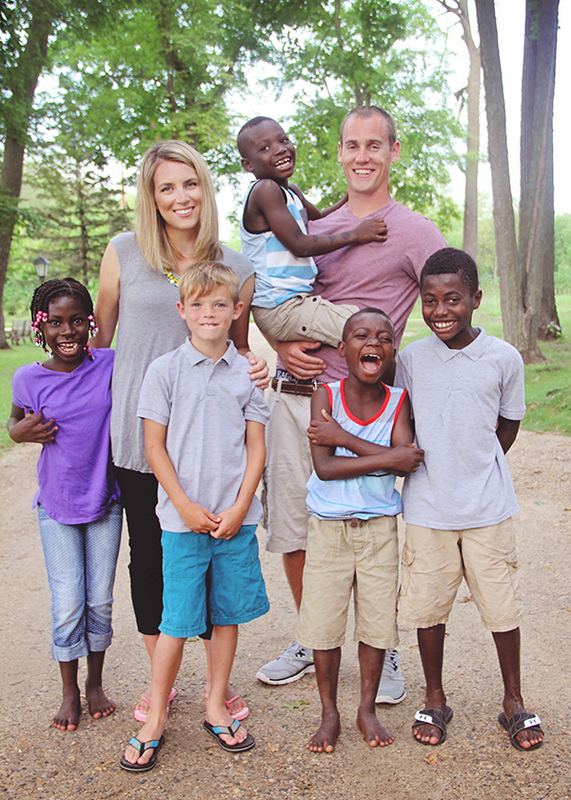 In 2013, our family grew to five through adoption. In 2015, we became a family of seven! We have five kids ages 10, 10, 9, 9, and 8 (Four boys and one girl!) We are a transracial family. We live in Des Moines, Iowa. I love to travel. I’ve been to Brazil, Croatia, Ghana, Jamaica, Zambia, Mexico and I would love to continue traveling. I think family vacations are important for building relationships and creating lifelong memories. I love food. I am a foodie and a home cook. I love coming up with mostly family-friendly recipes, but I like to experiment with cocktails, decadent treats, and party food. Social Good is my passion. I’m a big believer that even us busy moms can contribute to the good of the world. 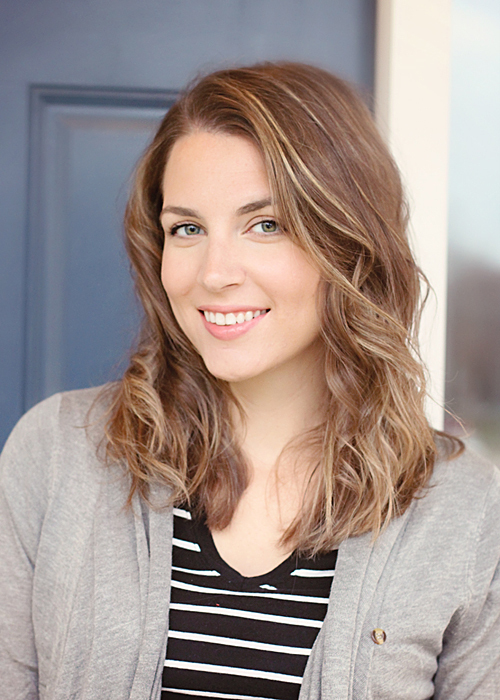 I regularly write about social issues, non-profit campaigns, products with a purpose, and I want to encourage moms to live intentional lives even in the midst of their busy days. I have had the privilege of appearing in print ads in major magazines, I am regularly featured in major websites such as Glamour, Prevention, Gourmet.com, Ladies Home Journal, and Woman’s Day. I have developed recipes for popular brands such as KC Masterpiece, Old El Paso, and 7UP. I have developed over 60 recipes over three years for Litehouse Foods.